John has over 25 years of international experience in Asia’s high-tech industry. He specializes in next-generation software solutions to address the needs of organizations throughout the key markets across the Asia Pacific region, particularly in Japan. 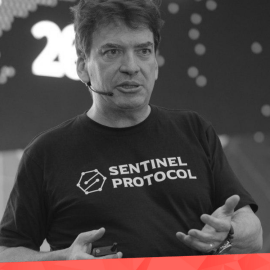 Prior to Sentinel Protocol, John held senior roles with several leading technology companies including WatchGuard Technologies, Softbank, CyberGuard, and Darktrace. John has an undergraduate degree from Duke University in North Carolina and studied computer science at UC Berkeley.